When you just can’t bear the temperature, maybe it’s time to get your A/C and furnace checked. A simple act of getting your air conditioner or furnace repaired can save you from the unbearable heat or cold. It is essential to have your A/C and furnace checked for any problems, before it poses danger to your family – both children and adults. No matter what type of A/C furnace you own – a standard or a high efficiency – we can’t avoid malfunction issues. This being said, consulting with a proper, trained team can help you figure out what issues your A/C and furnace have, and rid you of these issues, for outstanding performance. Our trained, licensed and professional commercial HVAC technicians are experts in troubleshooting and diagnosing all the issues your furnace have. After diagnosis, they are able to identify what actions are needed to solve the present problems. Then, our team will provide the flat-rate price needed for the repairs. With us, there is no hassle of hourly fees or surprise bills. We will inform you right away of everything you will be paying for. Once you agree, repairs will immediately start. Interested? Call now and set an appointment. 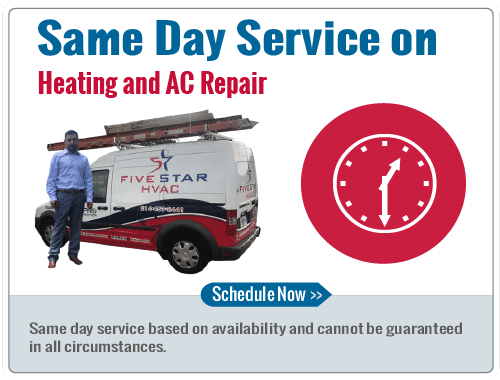 We offer an amazing $59 service call fee (goes up after 8 p.m. and 10 p.m., respectively). Overtime rates or extra fees for weekends? We don’t have that! 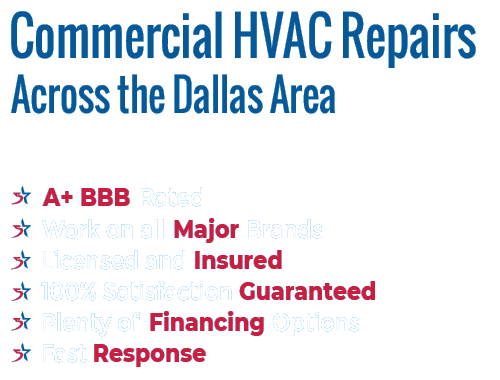 Our commercial HVAC repair process is simple as possible, because we want your heater and furnace up and running as quickly as possible. We can make most repairs immediately as our trucks are equipped with all the necessary parts and pieces. Plus, all our parts have a warranty for two years. Actually, some even have a lifetime warranty. We will help you improve the state and extend the life of your furnace. We can also assure you that we can work with any brand in the market. Worried that the brand of your heater is too old or too new? Don’t, because we have the technical expertise to work on that. Your natural gas, propane or electric-based furnace will be safe in our hands. After our repairs, your furnace or heater will be working at its full potential once again, making your home comfortable once more. Our customer service is outstanding. Call us and someone will be there for you, or get back to you within only five minutes. There are various ways to contact us and schedule an appointment. Call us and we will be very happy to assist you. To sum it all up, our commercial A/C and furnace repair service is exactly what you need. We offer fast and reliable service ensuring the best results. So, if you are anywhere in Rowlett, Rockwall, Garland, Richardson, Sasche and Frisco, contact us and we will be there.